A one hour documentary about the making of Lou Reed’s album ‘Transformer’. The album that took Lou Reed from cult hero of ‘The Velvet Underground’ to international superstar status as a solo artist. Patronised by Andy Warhol at the ‘Factory’ The Velvet Underground became a massively influential band inspiring musicians even now. Lou Reed showed that a melodic pop song could have lyrics of substance dealing with the reality of modern life. Becoming a solo artist his first album was poorly received but David Bowie who had admired Lou from afar, offered to produce the next album along with Mick Ronson and the result was the ground breaking ‘Transformer’. It has been said that this album perfectly encapsulates the whole spirit of the Glam era. The programme takes a track by track look at the making of the album. In New York Lou Reed and Ken Scott, the original engineer, lead us through the original multi-track tapes of ‘Perfect Day’,’Vicious’, ‘Satellite Of Love’, ‘Walk On The Wild Side’ and others. In London Herbie Flowers (Bass) shows us how the bass line on ‘Walk On The Wild Side’ was recorded creating what is arguably the most famous bass line in rock music. Dave Stewart of the Eurythmics talks of Lou Reed’s influence on him as a songwriter and musician. 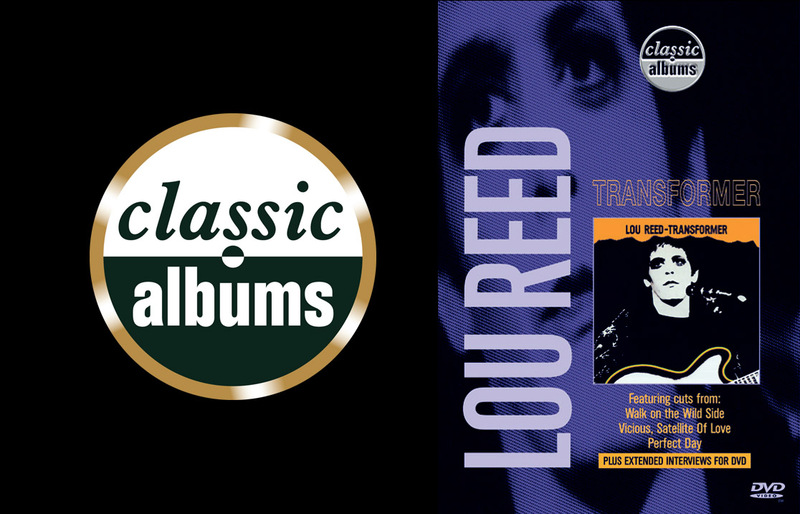 David Fricke, Editor of Rolling Stone and Lenny Kaye, musician and journalist explain the influence of Lou’s music on generations of musicians and tell us why this album deserves its classic status. The programme is illustrated by archive footage from Lou in concert, and also features specially recorded acoustic performances by Lou. There is archive of The Velvet Underground and of Andy Warhol and the Factory. The programme provides a unique insight into the process behind the recording of this landmark album.